A viral social media hashtag that started early last week has now motivated Turkish women to use it as their new found voice on a heated topic. The hashtag, #10yearchallenge, was about showing photos or events and comparing them to the present day. It went viral on Twitter and Instagram since last week. Now Turkish women have appropriated the hashtag and are suggesting the abandonment of the headscarf. They have been sharing their opinions via their Twitter accounts. 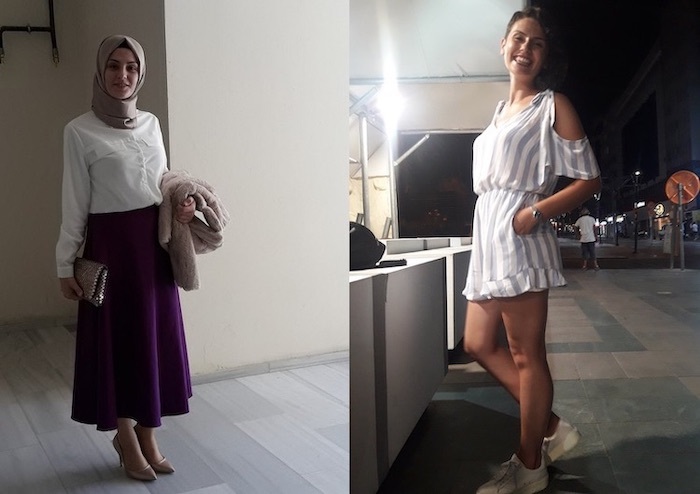 As the whole world caught up the viral hashtag, Turkish women saw an opportunity to show pictures of themselves wearing the headscarf ten years ago, to present day without the headscarf. “From a girl living by the unquestioned society codes to a woman who has devoted herself to live a life that takes individualism as its main theme. Ideas are true when you agree with them, not when everybody does,” read a post by one such woman, Rabia Okur, whose then and now photos received more than one thousand retweets. “You will know what we have achieved. You will know the price that women pay when they rise up against the authority eventually bringing it down,” said another, emphasising the bravery of the women who dare stand against societal norms. The trend among Turkish women drew academics’ attention. Dr Ayse Zarakol, a reader in the Politics and International Studies Department at Cambridge University, shared some posts by the women who have abandoned the headscarf. “I’ve tried to collect the photos I’ve seen, and they are shared widely. Some of the women say first they fought the headscarf ban (now lifted) and then fought the headscarf. A fascinating local appropriation of a global social media trend,” tweeted Dr Zarakol, pointing out the major gravitation towards rejection of Islamic rites and the religion itself, among the more religious segments of the population. By the late 90s, the headscarf was widely regarded by secularists as the emblem of Islamism, thus its presence was viewed as an affront to Turkey’s secular foundations. Women wearing headscarves were barred from public services and to even attend university. Some universities even formed ‘persuasion rooms’ within their bodies to convince their students to abandon headscarves. Students who protested against these discriminatory regulations were violently dealt with by riot police. The headscarf ban has been a focal point of political Islam in Turkey, through which Islamist politicians such President Recep Tayyip Erdogan reached out to the masses that felt left out of the public sphere. The ban was gradually lifted from nearly all state institutions, including the Turkish Army widely seen as the protector of secular values back then. With Erdogan consolidating political power, many public figures started to hit back and make headlines as they were now adopting the headscarf, resulting in scrutiny over their motives to do so. “The 10YearsChallenge fad has generated a micro-trend in Turkish Twitter where women are sharing stories of how they abandoned the headscarf. Should be studied, given the fact that current political, economic and social climate reward the opposite (re both the act & the sharing),” said Dr Zarakol from her Twitter account, referring to the public figures’ adoption of the headscarf.